The Tarn is a small park, which takes its name from its notable lake (tarn being an old term for a lake), which is fed by a small stream that runs into the River Quaggy. It is a surviving fragment of the C17th landscape of Eltham Lodge and in the north-west corner near the entrance is a brick ice-well with a domed roof dating from c.1760 that once supplied ice to the Lodge. The parkland originally belonged to Eltham Palace, which was built as a royal retreat in 1305. It was the birthplace of Edward II in 1316 when the estate included the moated manor house, a dovecote, deer park and a windmill. The estate was added to by subsequent monarchs and by Edward IV’s reign it incorporated three parks, Great Park, Middle Park and Horn Park, amounting to 1300 acres. During the Civil War the majority of the land was purchased in 1649 by Colonel Nathaniel Rich, who demolished most of the buildings; the deer were slaughtered and the parks stripped of trees. Following the Restoration in 1660 it was incorporated in the new landscape of Eltham Lodge built for Sir John Shaw in 1664, and like most of the surviving parkland is now within the Royal Blackheath Golf Course. 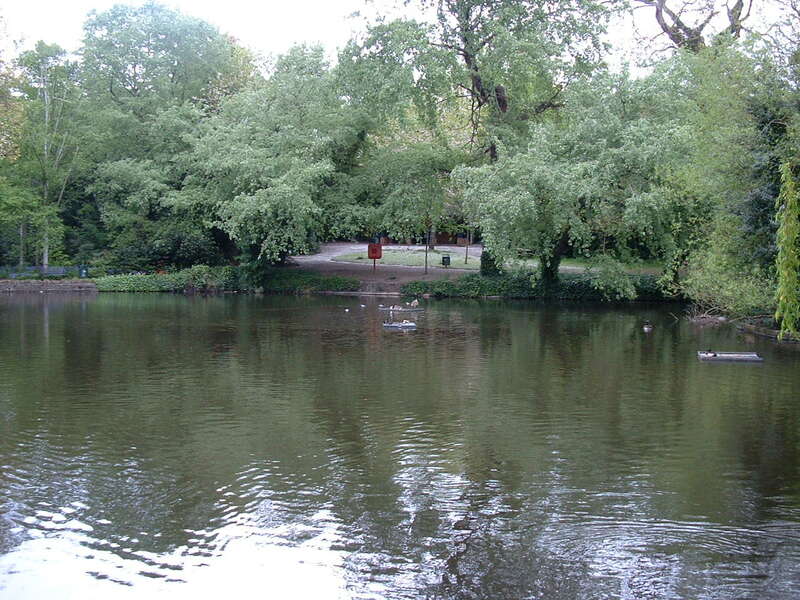 The lake was previously known as Starbucks Pond, probably after a family known to have lived in the area from the C16th to the late C17th, although the name for the lake seems to have persisted until 1903 when it appears as Eltham Tarn. The Tarn appears to have been leased from the Crown and from 1914-29 lease-holders were members of a family called Rocke. In 1933 the lake had become overgrown and stagnant. 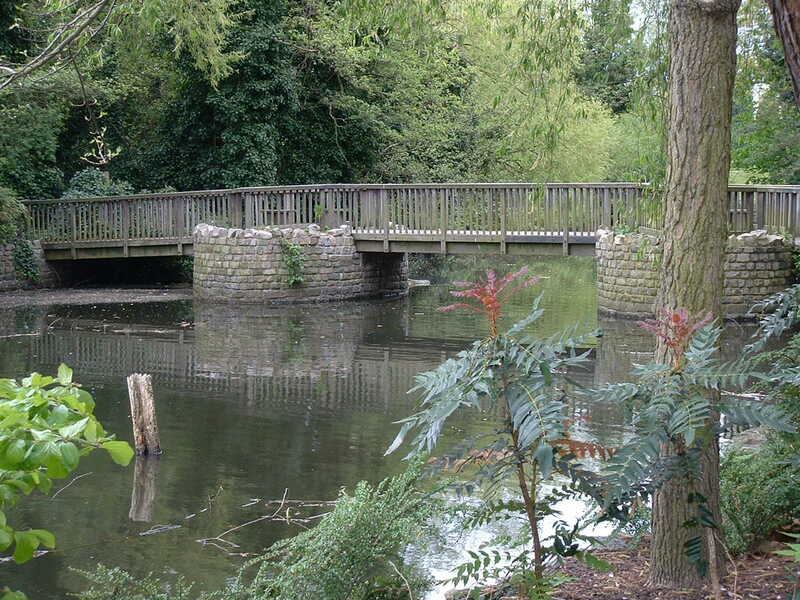 In 1935 a remnant of woodland with the lake was acquired by the Metropolitan Borough of Woolwich (now part of the Royal Borough of Greenwich) for a public park and the layout now included paths around the lake, which has two islands and a bridge. Tall trees block out the noise of Court Road traffic. A bird sanctuary was created on the north eastern side with a nature and butterfly garden at the western end of the park used for schools nature study. A Heritage Lottery Fund grant was awarded for restoration works in 2001. The Friends of The Tarn was set up in February 2008 and holds regular volunteer days; a new Butterfly Garden has been created on a neglected area where a wildflower meadow has been planted, with bird nesting boxes, a wildlife stack and bee homes.